LEXINGTON, Ky. (May 3, 2011) — With a unanimous final vote today, the University of Kentucky Board of Trustees selected University of Alabama Birmingham Provost Eli Capilouto to be UK's 12th president. To see video of the vote, visit UK's YouTube channel at http://www.youtube.com/watch?v=i7MFNbVojek. 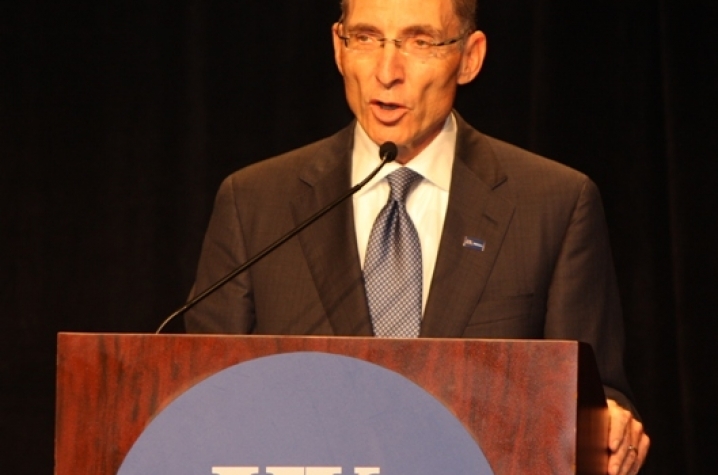 The vote followed a rigorous Monday of meetings and faculty, staff and student forums for Capilouto, who told the campus community that he was impressed with the university and would be honored to serve as president of UK. He will begin July 1. 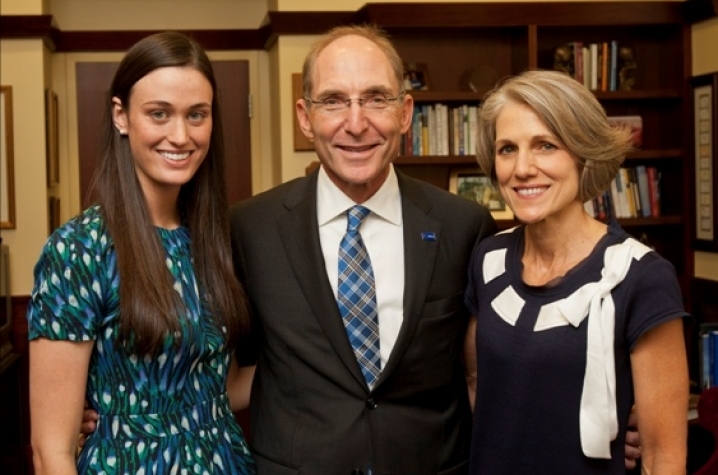 "I have admired the University of Kentucky for a long time, and I am honored and grateful for the opportunity to lead this great institution to further success," Capilouto said. "I was attracted to the Top 20 aspirations because I believe that you can't have big successes if you don't have big dreams. "I've probably been most impressed with the people I have met over the last several days. From the Presidential Search Committee to the Board of Trustees to the faculty, staff and students I met yesterday, you love this university, and you are truly committed to the hard work it takes to make the University of Kentucky the premiere institution you know it can be. I look forward to us working together." UK Board of Trustees Chairman Britt Brockman said, "I have been confident from the beginning of this presidential search that we could find the right person at the right time to take the University of Kentucky to even greater achievements in higher education, and I am completely convinced we have succeeded in that today," he said. "Eli Capilouto has demonstrated the perfect combination of outstanding experience, keen intellect and innovative leadership. I look forward to working with him to move UK and the Commonwealth of Kentucky forward." As provost at UAB, Capilouto serves as the chief academic officer for a university with 11 schools and colleges, 17,543 students and some $460 million in annual external research. 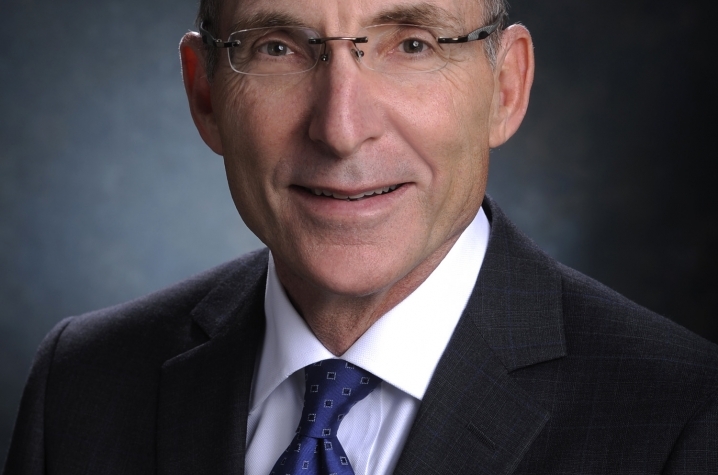 During his tenure, he has helped lead the adoption of the university's strategic plan, an integrated and more transparent budgeting system, and continued increases in research funding for an institution that is one of the nation's leading public medical and health sciences' campuses. Capilouto has served in a variety of administrative positions at UAB as a dean in the School of Public Health and senior executive administrator. He holds a bachelor's degree from the University of Alabama, a Doctorate of Dentistry and Master's of Public Health from UAB and a Doctorate in Health Policy and Management from the Harvard University School of Public Health. He and wife Mary Lynne, a dentist and former dean of the School of Dentistry at UAB, have also been highly active in community service in the Birmingham area. The Capiloutos have one daughter, 23 year old Emily. Capilouto succeeds Lee T. Todd Jr. who will retire June 30 after serving as president of his alma mater for 10 years. "I look forward to working with Dr. Capilouto and welcoming him and his family to the UK family," said Todd. "He recognizes the potential of the University of Kentucky, and I feel confident he will build on the momentum we have already achieved." Terms of compensation were released by the university as well. The University of Kentucky and Capilouto have an agreement in principle on terms of compensation. A final contract is being developed. Other terms: Dr. Capilouto and his wife are required to live in a university-owned home, Maxwell Place; UK also will provide Dr. Capilouto with an automobile and membership dues. President Todd's current compensation is $657,000. Click here for audio from the May 3, 2011, Board of Trustees meeting. To see a video transcript of the Capiloutos’ greeting click here. More coverage of the presidential search process is available on UKNow, UK’s official news site at www.uky.edu/uknow.